Are you planning a trip and looking for a vegan passport wallet? Then you've come to the right place. We've rounded up 10 options made of vegan materials that are great for traveling. 8. Camo Print Search RFID Travel Wallet by Herschel Supply Co. Does someone in your life love stargazing? 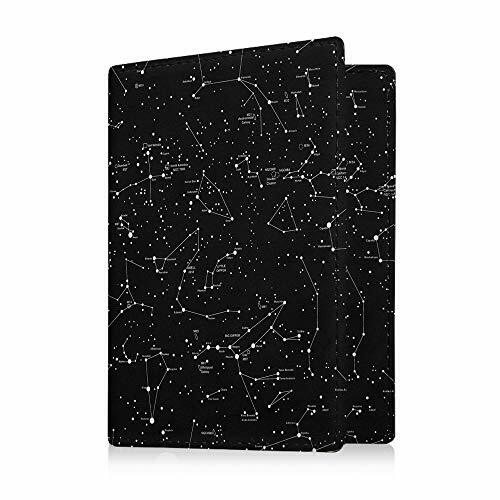 Get them this nifty constellation print passport wallet. Made of smooth black synthetic leather. Holds a passport, credit cards, airplane boarding pass and cash in separate pockets. RFID-blocking to prevent data theft. Pros: With places to put your passport, tickets and money, it's perfect for all sorts of travel, including international trips, airplane, bus and train travel. It'll also prevent boredom while you're waiting for takeoff. Cons: It's a little larger than expected, according to some reviewers, and it can quickly gain bulk with added tickets and paperwork. 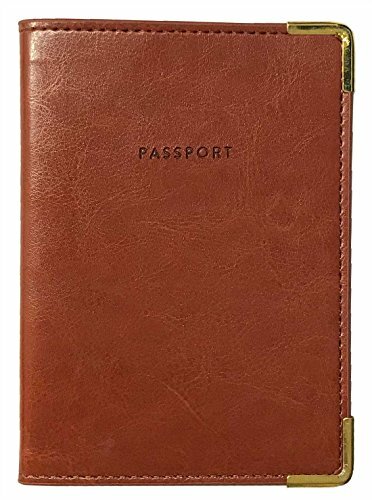 This gorgeous brown vegan leather passport holder features subtle but sophisticated detail with gold corners. Contains one passport section and a deep pocket for tickets, cash and receipts. Pros: If what you need is a straightforward passport holder that can also store some cash and tickets, this will work. Its a rather minimalist sort of passport wallet. Cons: It's pretty basic without card slots. Presenting the ultimate travel wallet for men. Matt & Nat's Skyler vegan leather wallet protects your passport and tickets along with all your cards and cash. Designed with a safety wrist strap. Holds coin money in an inner zip pocket. Pros: Gentlemen, never struggle to find all your tickets and documents again. They'll be neatly contained with your money in this well-ordered wallet. If you love your clutch purse, this might be your ideal passport wallet with tons of organization features. Made of finely textured vegan leather in navy blue. 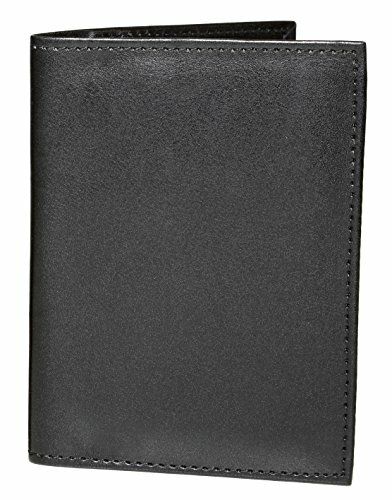 Holds your passport, checkbook, over a dozen cards, coins and bills in multiple sections. Pros: There's even a middle zip pouch like in your favorite clutch. There's so much space in this passport wallet, it can hold your trip essentials plus another person's if necessary. Cons: It's a "final sale" item, so it's nonreturnable. Hang this black nylon passport holder around your neck to simplify your travel days. Combines passport, tickets, phone, cards and cash storage. Comes with a clear ID window. Fabric is moisture-resistant and shrink-proof. Pros: You can get in and out of it quickly and efficiently. It's great if having your phone, passport and money in different locations becomes a nuisance for you. Cons: You'd have to be comfortable with something large around your neck. 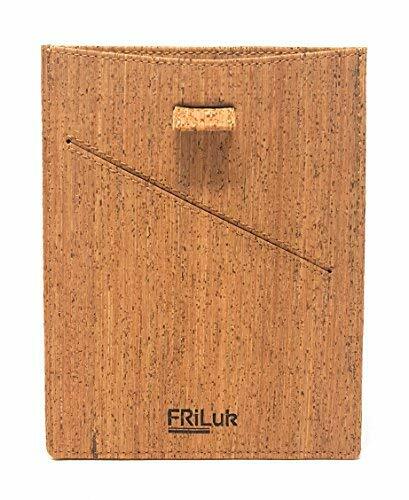 This vegan passport wallet has a lovely speckled appearance from the cork bark it's made with. Designed with card slots and a pull strap for your passport. Pros: The pull tab is a nice design feature for ensuring struggle-free passport retrieval. Most of all, this a sharp-looking passport wallet. Cons: It doesn't seem to have a designated cash area. A little more detailed than a typical passport cover, this black vegan leather passport holder comes with spaces for your passport, tickets, cards and a few bills. Bifold-style with 4 card slots and two slip pockets. Pros: It's compact, so it won't build up excess material and get bulky. It's a good option for individuals looking for a straightforward passport holder that can stow some money, too. Cons: It's bare-bones, so you won't be able to keep much in it. Herschel Supply Co.'s Search RFID wallet in camo print houses all your travel necessities in one convenient place. Features a mesh ID window, a pen loop, multiple card slots and a passport pocket. RFID-blocking mechanism keeps your data secure. Advertised as vegan: No, but it's all polyester. Pros: Super functional and card-friendly, this wallet will assist you on long-distance travel days. The pen loop is a simple but smart feature. How many times have you had to drop everything to search for a pen to sign with? Cons: It's not the slimmest passport wallet. 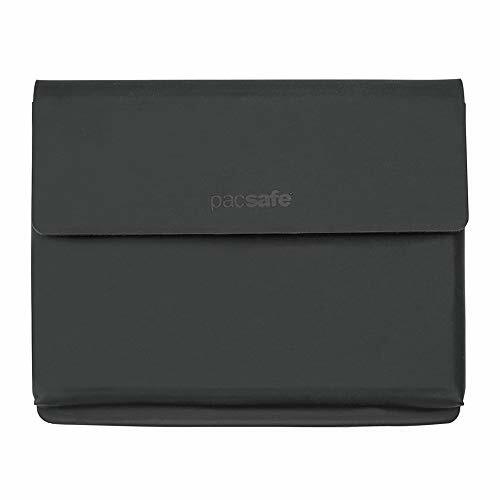 Pacsafe's super secure RFIDsafe Tec wallet comes with specialty RFID-blocking material. Designed with a passport sleeve and four card slots. Closes with a snap button flap top. Advertised as vegan: No. But it's all synthetic. Pros: It totally covers and protects your passport so that it won't wear out quickly from frequent use. Cons: It's not really designed to hold coin currency—just some notes tucked into the card sleeves. 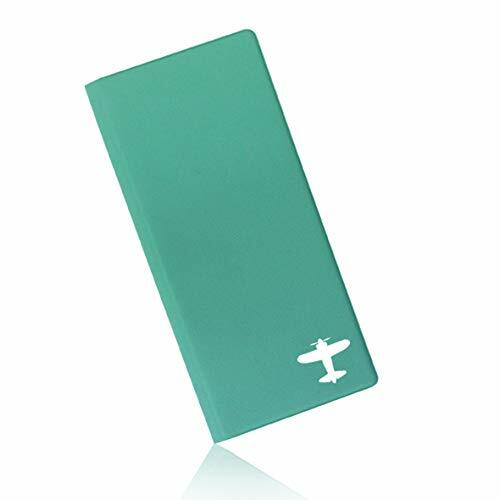 This cute passport wallet features a white airplane printed on the front corner of the mint green faux leather case. Organizes your cards, passport, boarding passes and more with a midsection pouch. Comes with printed identifiers for each compartment. Pros: The plastic pouch is a great addition to a travel wallet for its large item capacity. Toss paperwork, cards, cash and checkbooks in it. Cons: If the slide zipper on the pouch breaks, you're in trouble.